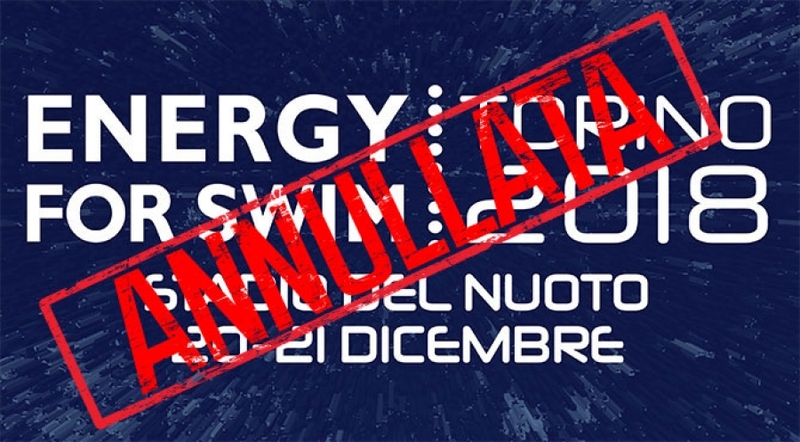 The Italian Swimming Federation herewith is communicating with deep regret and disappointment the cancellation of the swimming event Energy for Swim 2018 scheduled in Turin on 20 and 21 December next. The “Federation Internationale de Natation” (FINA) declared the event “non approved”, even though it was organized by the Italian Swimming Federation with the support of the City of Torino and already included in the Italian national calendar, threatening sanctions against the participating athletes. The Italian Swimming Federation is therefore forced to cancel the event to protect the athletes who, many of them, had already expressed with enthusiasm the desire to compete in a spectacular event designed to increase the interest of swimming, to further enhance the image of the participants and to generate deeper public interest and strong impact for the benefit of the entire swimming movement. The Italian Swimming Federation takes this opportunity to thank sincerely the City of Turin for its support and the sponsors who would have contributed to the success of the organization.